Sweets, coffee, champagne, and fashion? Sounds like my kind of Saturday afternoon! 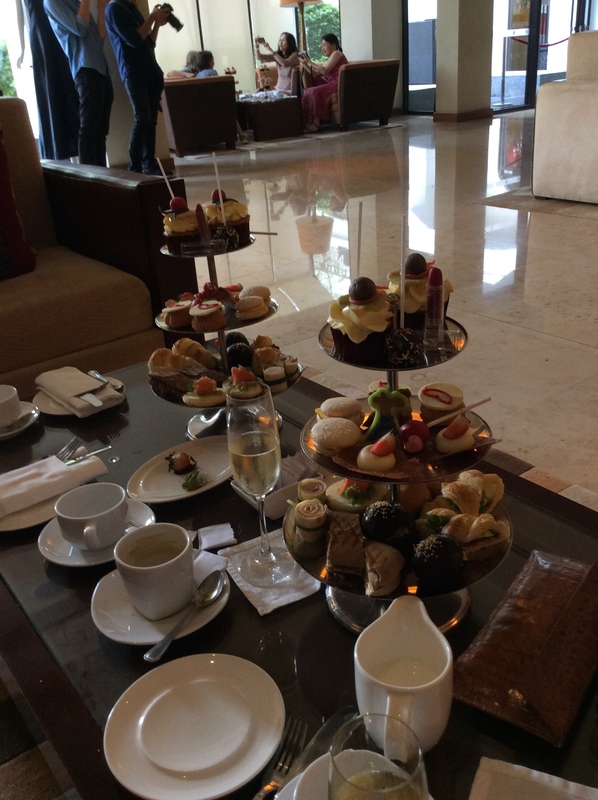 Last week, I went to Pret-a-Portea at the Intercontinental Hotel Westlake. 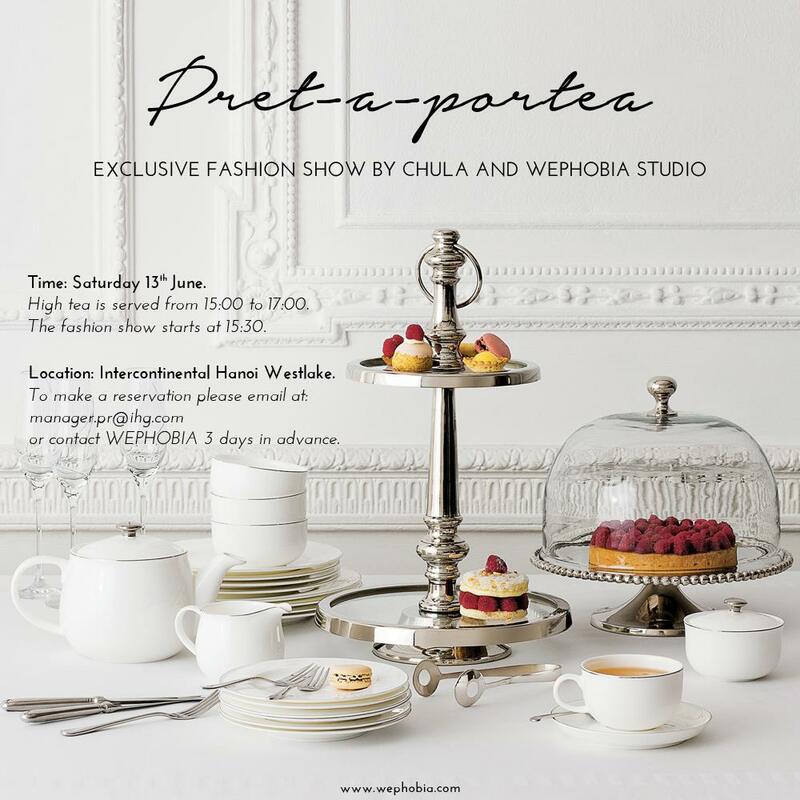 Each month, Chula – the whimsy fashion house preferred by Hanoi expats – partners with the Intercon to host an afternoon tea and fashion show featuring an up-and-coming Hanoi designer. Last week, the event featured Wephobia Studio, a cool new line designed by two young and adorable Vietnamese women. It was the first time I’d heard of Wephobia and I loved it. Their clothes are chic, simple, menswear-inspired, with an Asian vibe. I loved everything. I especially loved the classic black and white, interchangeable pieces. When I spoke to the designers after the show, I was surprised to learn that their flagship store was in my neighborhood – conveniently located on my walk home from work. Needless to stay, I popped in after work last week and picked up a few items! After Wephobia, Chula displayed some of their latest creations. Chula is created by a Spanish couple, Laura and Diego, who make fun, eye-catching silk dresses that are more art than fashion. Each dress is unique and made to order. If you’re an expat in Hanoi, you’re sure to see Chula dresses galore throughout the city. I have two – one black dress with a skull and cross bone theme, and one turquoise dress with a wave. I absolutely love them – fun, completely unique, and comfortable to wear. In between the fashion shows, we enjoyed delicious, fashion-themed nibbles. From red chocolate lipstick, to a pink chocolate pump, the Intercon went above and beyond. The highlight? Midway through the event, the Hanoi sky erupted into a massive storm – thunder, high winds, palm trees blowing every which way. 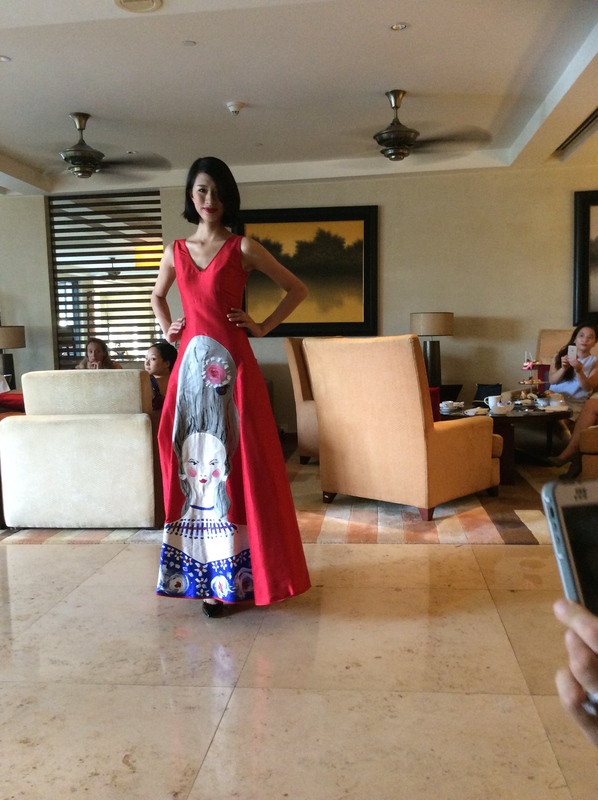 I was happy to be stuck inside the lovely Intercon with friends observing beautiful Hanoi fashion.